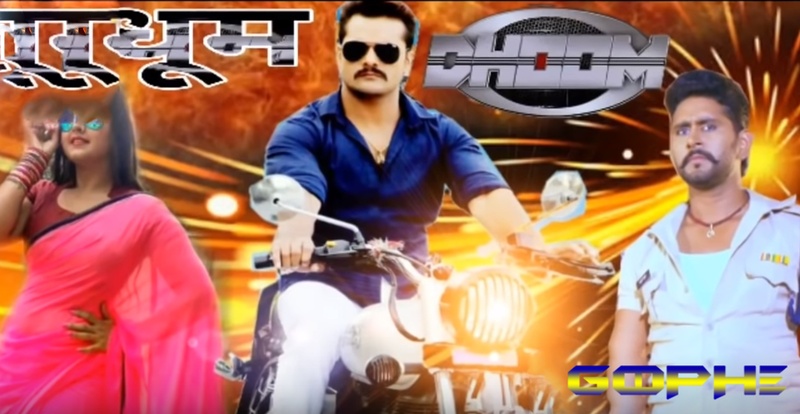 The Poster Of Dhoom धूम Bhojpuri Khesari Lal Yadav Kajal Raghwani is the upcoming bhojpuri film of 2019. The Bhojpuriya Dhoom is release on February 2019. The Shooting Of “Bhojpuriya Dhoom” is start on November 2018. Bhojpuri Blocbuster Actor Khesari lal yadav plays role of Thief in this film. Kajal Raghwani is acttress of “Dhoom” Bhojpuri upcoming movie. The Bhojpuriya Dhoom is full action and drama based film.